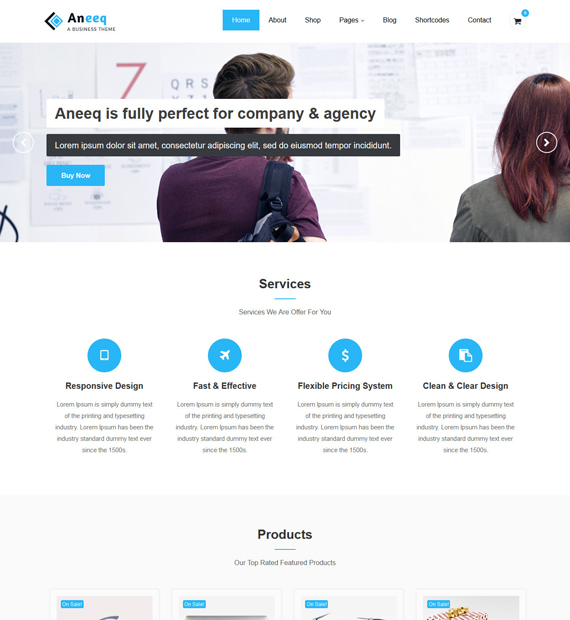 Aneeq is a WooCommerce Compatible and SEO Optimized Multipurpose theme which is perfect for bloggers, businesses, corporations, agencies, online stores, as well as anyone looking for a beautiful looking website that is easy to set up. This theme is not light on features either and has unlimited color options, custom logo, custom background, Google Web Fonts, and Contact Form 7 support to just name a few. Aneeq is also translation ready and has RTL language support.